DCCS has the tools and information for you to do both. 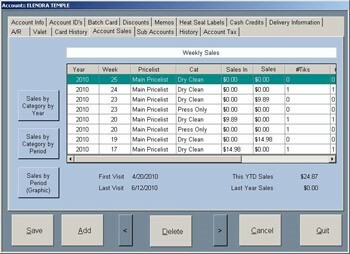 With our sales reporting features, we can tell you who your best customers are, the ones you haven't seen in a while, the ones that visit most often and the ones that use your conveyor as a personal closet. DCCS will allow you to identify those customers who have deviated from their normal buying patterns with a simple click of a mouse.